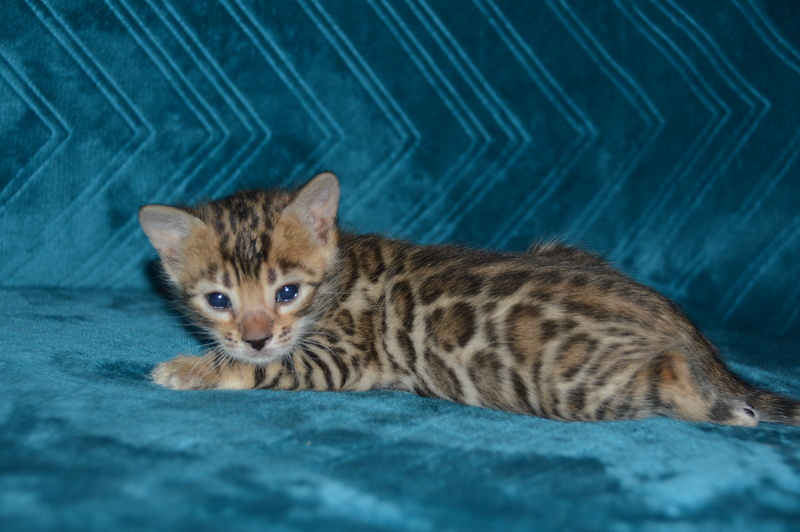 Bengal Cat Forums • View topic - Choosing a new kitten..
Post subject: Choosing a new kitten.. I was suppose to be bringing my new kitten home this week but she is having a lot of problems and isn't gaining very much weight at all.. 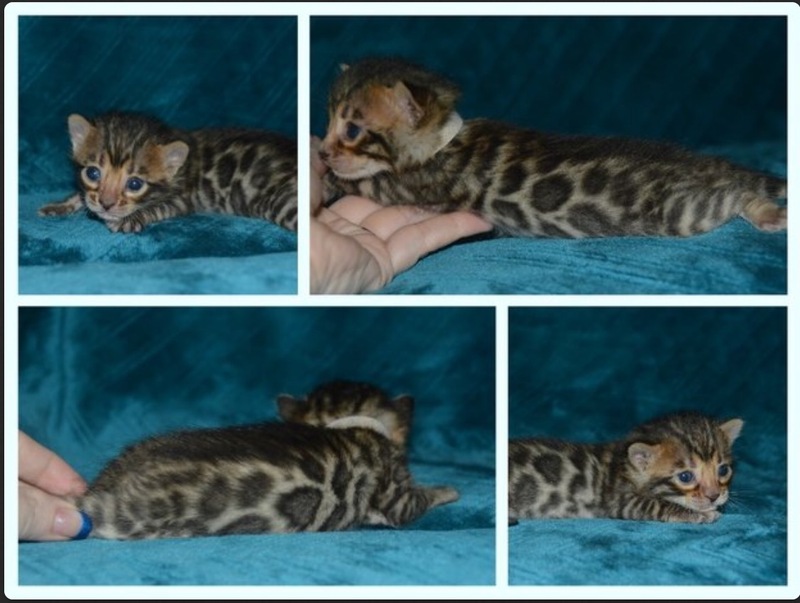 The breeder seems to be very worried, she called me today and asked if I would be willing to pick another kitten from a different litter.. My original kitten was born February 5, 2017 and the new litter was born April 1, 2017.. 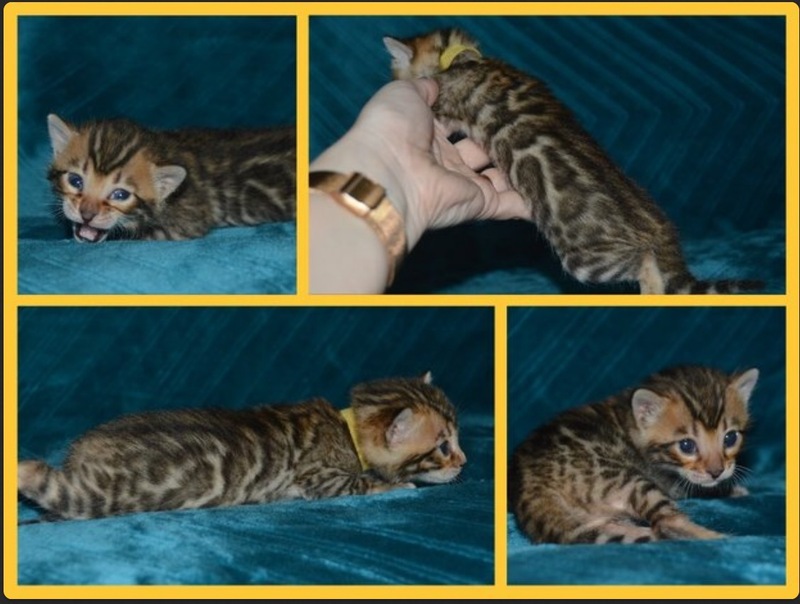 So I'm still going to be waiting awhile.. As sad as I am that I won't be able to get my original kitten, I am very thankful that the breeder has kept me up to date with everything.. So I am going to go meet/visit with the new kittens this week and wanted to show some pictures of the two.. I know that I will need to see their personalities for myself before choosing but would love to hear your opinions as well! Post subject: Re: Choosing a new kitten..
Awww, they are both beautiful. Kudos to the breeder for being so forthright about your first chosen. Understand your disappointment at having to wait, but far better to be patient now, than heartbroken later if all isn't well. You're onto it though, all kittens are beautiful, but it really depends on which one chooses you rather than the other way around. Keep us updated on how things pan out. Oh what beauties. I don't know that I could choose, but one of them is going to choose YOU! For me it is always about personality - they are both going to be good looking cats, but it is how they will interact with you for the next 15 years that is the most important thing. Go to the breeder, watch kittens zoom and tumble and play and interact with you and the choice should become clear. Getting a new kitten which you love needs lots of patience and seldom smooth sailing. 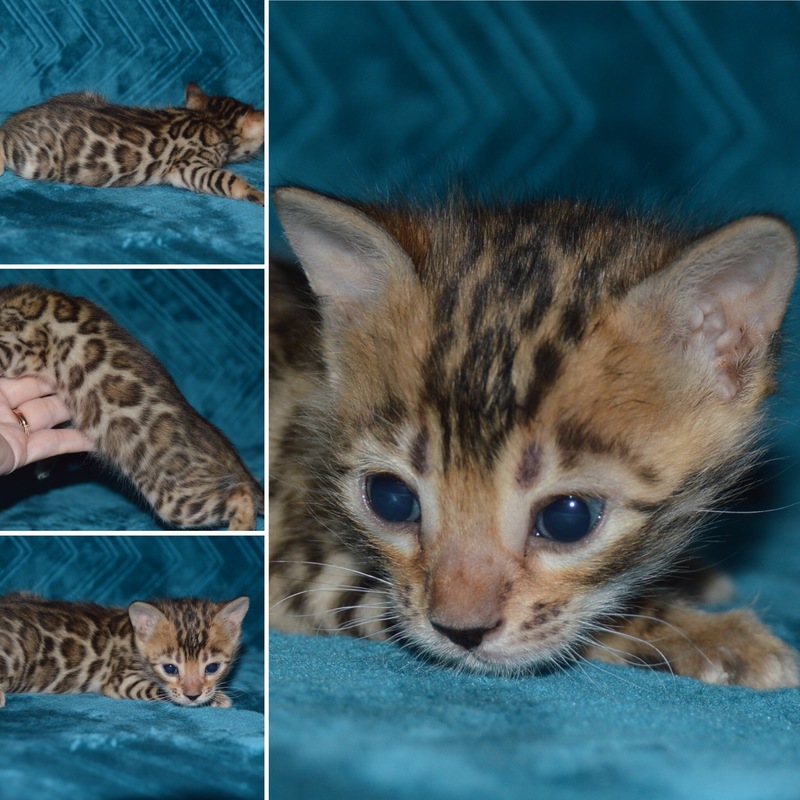 It’s like searching for a rare gem and yet you need to have some form of connection and quality Bengal kitties are not many unlike those in mass production, lol. Just when you thought you've found a dream kitty after a long exhaustive search, somehow something doesn't feel right and another better one comes along. I've had my fair share of unexpected experience as well, and I believe many do. Sometimes, I guess fate does play a part. If the kitty is not meant to be yours, it'll never be. And the ebb and flow of emotional longings from adopters will tend to cross each other, creating many frustrations, as well as joy and jubilation. 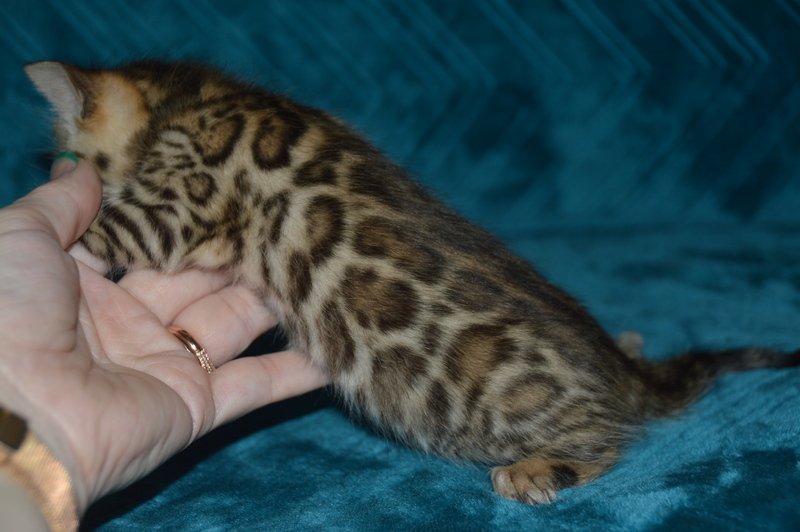 Now I'm patiently waiting for my new dream kitty too, in about two weeks’ time. Hopefully not more twists and turns, lol. 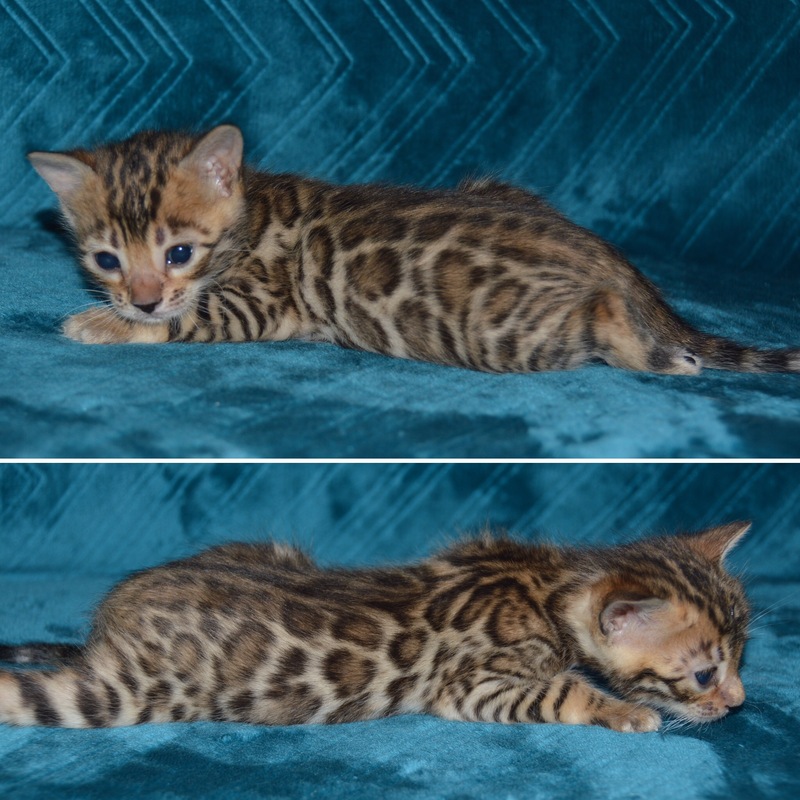 Nevertheless, while what constitutes a dream Bengal kitty besides being based on individual preferences and evolving with trend, I believe that those with great-contrasted spots/rings like yours will stand the test of time. Congrats on a great-looking kitty! I'd personally prefer the first one. It is more 'natural' with more symmetrical donut spots imo with horizontal flow. The 2nd one seems to resemble the newer type of improved 'Sparble' or clouded rosettes but the starboard side (right) side pattern seems to have vertical flow which is not quite desirable. Both kittens ended up being very sweet, it was so hard to choose but the breeder also informed me that she just had another litter about 4 weeks ago (1 girl, 2 boys) and that she would bring out the girl if I would like to see her as well and for whatever reason, I just fell in love! I felt an instant bond with her! So it looks like I'm going to be waiting a lot longer than expected but she's so worth it! I couldn't get a good picture of her face but here she is..
That's just how it works. 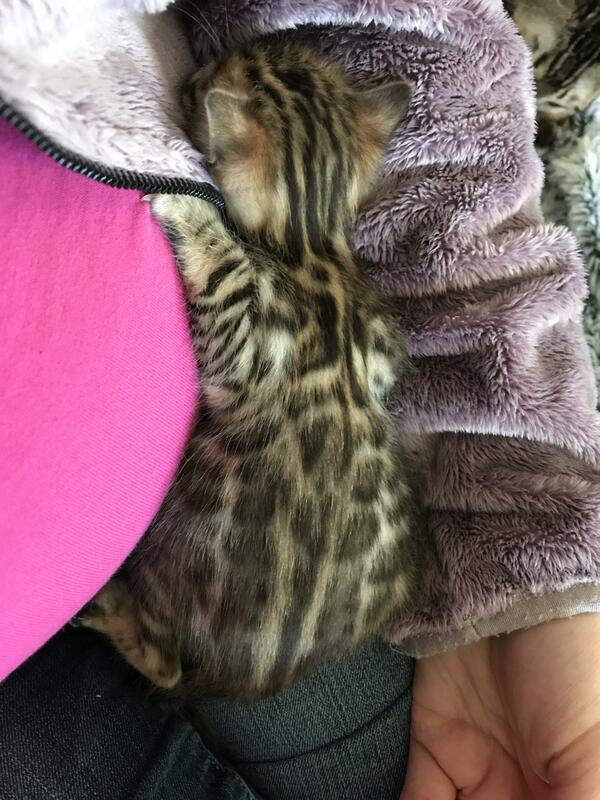 You don't choose the kitten, the kitten chooses YOU! She will be well worth the wait! And, hopefully, you will be able to visit her again soon. The bonding can never start soon enough. She is a cutie. Here are some new pictures of her! What a precious, adorable, beautiful little gal. Congratulations!! !